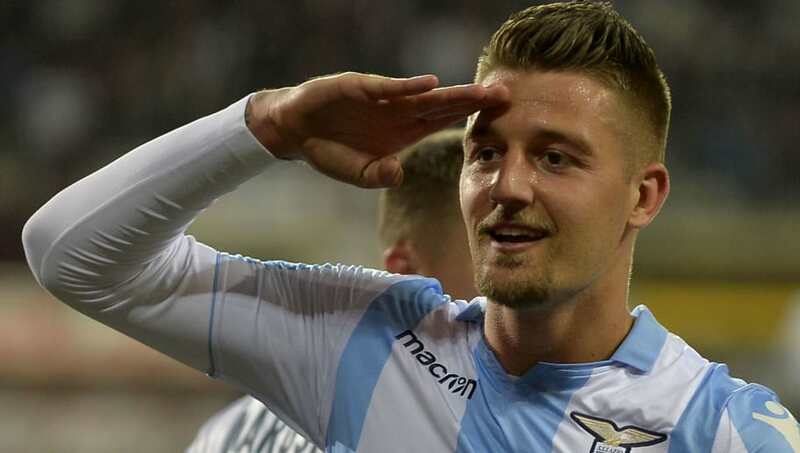 ​​Juventus are eyeing a summer move for Lazio midfielder Sergej Milinkovic-Savic, according to reports in Italy. ​Italian publication ​Corriere Dello Sport say that the Bianconeri are keen on acquiring the services of the Spanish-born Serbian central midfielder, who could star at this summer's World Cup in Russia. The report states that Juve boss Max Allegri has specifically asked for the player, but due to both the cost and the player himself being one of European football's most in-demand stars, a deal could be difficult. Milinkovic-Savic is thought to have between an €80-100m price tag on his head currently, a value which could soar after this summer in Russia. Born in Lleida in Catalonia, the 23-year-old has burst onto the radar of many a club after the Serbian's switch to Lazio from Belgian side Genk in 2015. Having racked up close to 100 appearances for the Biancocelesti in the Eternal City, Milinkovic-Savic has scored 17 times and ​his all-round performances have caught the eye of the likes of ​Manchester United. Due to the cost of the deal, any move for the Serbian will likely mean the reigning Scudetto champions will be forced to raise money through sales, with versatile defender Alex Sandro a possible departure, whilst Mario Mandzukic is a target for clubs in China. Whatever the case in light of Allegri's decision to stay in Turin, the demand for Milinkovic-Savic could become one of this summer's biggest transfer sagas, as suitors line up to prise the player away from Lazio. Quanto sai della cultura sul calcio in giro per il mondo? Che cosa fanno in genere i tifosi giapponesi a fine partita? In quale lega non è permesso bere bevande alcoliche durante la partita? Quale paese non si è qualificato per il Mondiale di quest'anno? Qual è la capienza dello stadio di San Siro? In quale stagione il Leicester City ha sorpreso il mondo vincendo la Premier League? La tua sapienza sul calcio è eccellente!